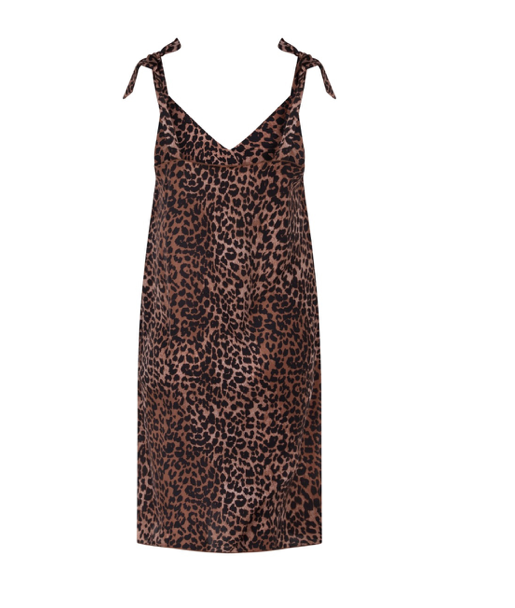 LOVESTORIES, This loose-fitted midi dress has been decorated all-over in leopard print in a warm brown colourway. Cut from a soft, fluid fabric that drapes beautifully against the body. A gentle v-neckline adds a subtly elegant touch. Finished with cute, oversized bow detailing at the shoulder straps.